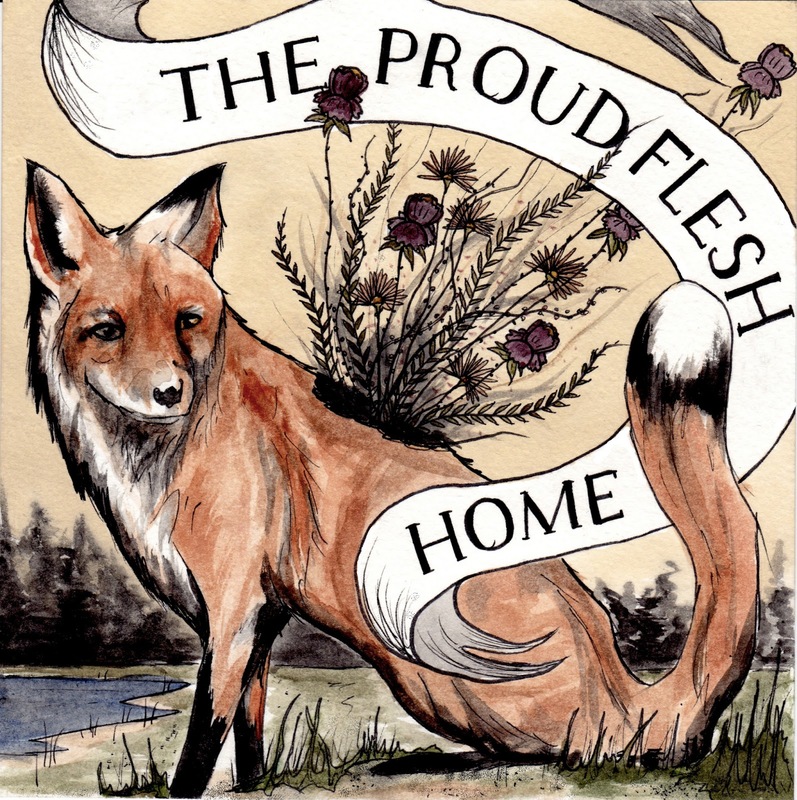 The Proud Flesh display their folk prowess and traditional charm on their new full length LP "Home". This is some low down sweet folk music on this album! It kicks off instantly in "One Lone Bird" with warm vocal melodies and lush instrumentation. "Company Man" is a bluesy rock song teaching you how not to live a full satisfying life. "Rewind The Tape" stands out not just for its brass section but the full saturation of the instruments. Acoustic sounds are generally full but the mixing and effects are very smart here. So are the words. The jangly "Harold" also stands out as something "not like the others". This sounds eerie and dark like it could be a modern Tom Waits song, or even Ugly Casanova. "River Ran Away" is the longest and most varied of the songs, as it seamlessly goes in and out of near unrelated parts in a collage of song and sound that doesn't bore or confuse. 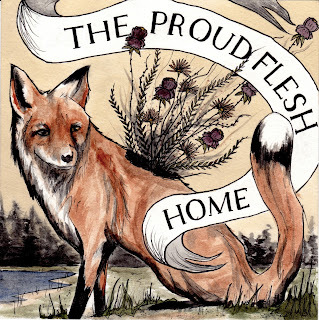 The Proud Flesh are indeed a folk band but they don't let that word hold them to any set of rules. They explore sound and audible environments with the same curiosity someone new to the game would have, but with songs that are clearly from a longtime songwriter. It's a satisfying conundrum. There is a vast world in this LP and it's worth your time to explore as The Proud Flesh clearly have. This album is as endearing as it is experimental for such tried and true traditional sounding songs.